The Final Whistle at Welford Road is being transformed into our International Sports Bar on Saturday when Leicester Tigers flanker Brendon O’Connor is our special guest during live coverage of England against New Zealand. Watch England against the All Blacks from Twickenham, with insight from O’Connor – and enjoy a pie-and-pint offer as part of the ticket price. The world champion All Blacks are always a big draw, but if you missed out on tickets for Twickenham, then come and join us at Welford Road. Tigers fans will obviously be looking out for their favourites in England colours in the toughest Test on the rugby calendar and back-rower O’Connor will join us for a chat ahead of kick-off and provide his views on the match action as the countdown continues to the Rugby World Cup campaign. 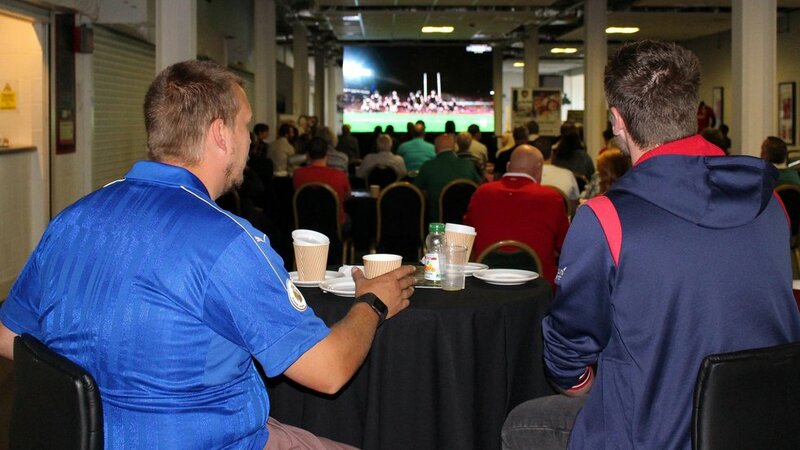 The big screen will be located in the Final Whistle bar for fans to follow all of the action and the pie-and-pint offer is included in the ticket price of £10. Soft drink and vegetarian options are also available. Doors open at 2.00pm, kick-off is at 3.00pm and the bar will be open for refreshments until 6.00pm. Grab your mates or bring along family members to enjoy our International Sports Bar. Book your place online or phone the Tigers ticket office now on 0116 319 8888 (option 2).